First floor apartment in a two-story house with three apartments, two of which are intended for guests and one is the owners' home. 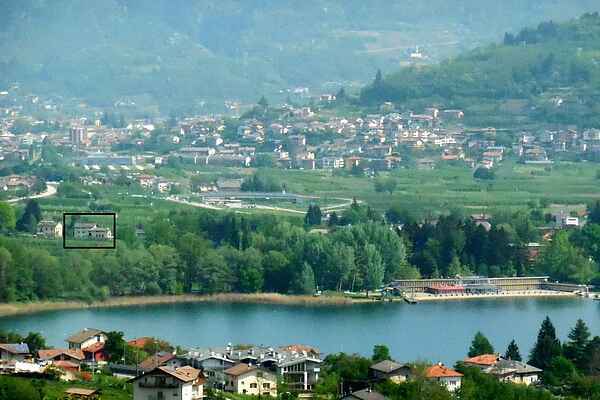 The property is located just 400 metres from Lake Caldonazzo, in a small district of the town of Pergine Valsugana. The apartment has a covered balcony with outdoor furniture which is accessed from the dining room, and a patio on the ground floor, also equipped with outdoor furniture. The garden, completely fenced in and secured by an automatic gate, offers parking for two cars and a covered area with outdoor furniture and a shared barbecue. A bicycle path is located just 200 metres away, and the shore/beach with bar and restaurant is only 400 metres away.